Posted by Vincenzo Ravina at 3:02 p.m. 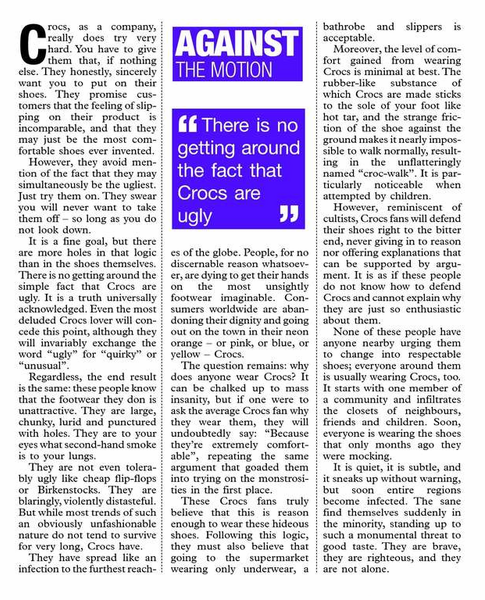 I am amazed how someone can write an article of 600 words about a shoe being ugly, and boast about it. We don't have the same taste in food and wine - so what! 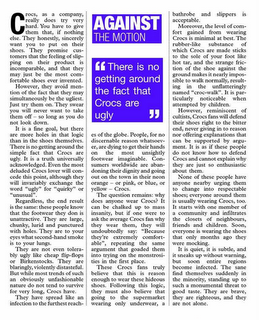 I don't wear Crocs, but I see the practicality of it. Easy to clean, comfortable, etc. You must be either jealous (you didn't think of that idea to make sooo much money), or you need a hobby to occupy your time.